Finding adequate adjectives to describe the collection of 333 sun-drenched islands that make up the archipelago of Fiji is hard work – suffice it to say that a vacation to one or a few of these paradise islands should feature on everyone’s wish list. Dotted around the South Pacific Ocean, these islands offer every kind of water sport you can imagine against a breathtaking backdrop of azure seas and verdant tropical foliage, pristine beaches, and cascading waterfalls. Here are the best things to do in Fiji. The Bouma National Heritage Park protects an enormous tract of virgin rainforest on the island of Taveuni, one of the northern-most islands of the Fijian archipelago. 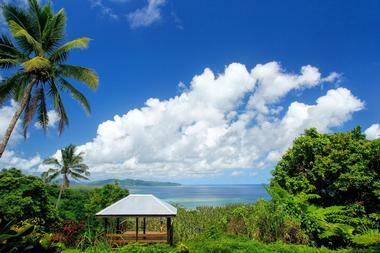 The island will appeal to nature lovers and people wishing to discover the “real” Fiji far from the tourist throng. The park offers a variety of eco-friendly attractions starting with camping and snorkeling in the protected Waitabu Marine Park. 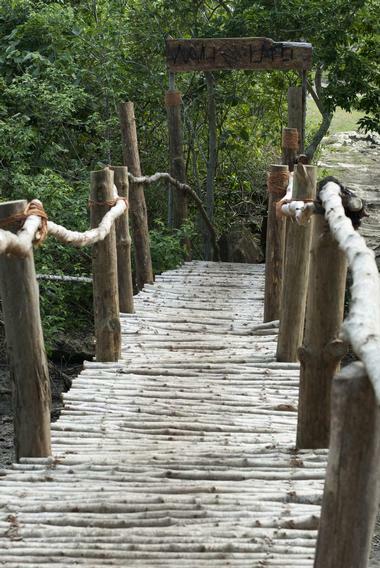 Hikers can go on a guided hike through the Vidawa Rain Forest where you can see some ancient ruins or set off to explore the Tavoro Waterfall Trail, which leads you past three sets of cascades. The park offers exceptional bird watching and good wildlife viewing. The Coral Coast is located along the Queen’s Road between Pacific Harbor and Korotogo and derives its name from the wide bank of offshore coral that protect it. This is a particularly scenic part of the coastline, and the dramatic scenery has ensured that the Coral Coast is dotted with many resorts catering for all budgets. Popular activities along the coast include diving in Beqa Lagoon, exploring the Sigatoka Sand Dunes National Park, visiting Tavuni Hill Fort, or going on a tour or river cruise in the rugged and beautiful Namosi Highlands. 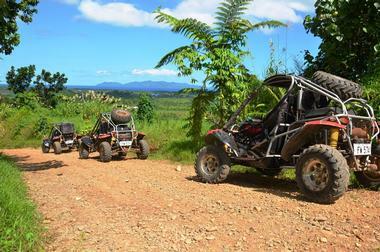 The Coral Coast is also home to Pacific Harbour, the acknowledged adventure capital of Fiji. 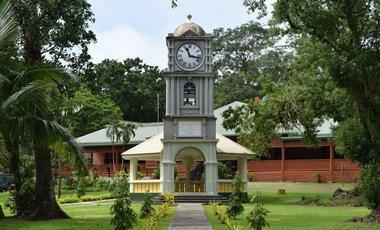 Located in the historic Thurston Gardens in Suva, the Fiji Museum offers an in-depth look at the fascinating history of the Fiji Islands. The collections include archaeological material that is over 3,700 years old as well as cultural objects that trace the origins of indigenous islanders for over 200 years. There are several permanent galleries to explore as well as a temporary exhibition space and an art gallery, both of which feature rotating exhibitions of the museum’s large collection and artwork by local artists. The museum has a reference library, a gift shop and the Mimosa Café on the verandah where you can have a snack. The museum also hosts pottery demonstrations on most Thursdays and Fridays. Kadavu is a true island paradise located far from the tourist throngs where you can gain genuine insight into the culture of the Fiji islands. The island is surrounded by the Great Astrolabe Reef, one of the largest barrier reefs in the world, which offers unsurpassed reef diving and snorkeling, and the chance of coming face to face with a manta ray in its pristine natural environment. There is a good choice of accommodation of the island, including a few top-end resorts, all of which offer diving, snorkeling, sailing, fishing, and kayaking expeditions as well as hiking adventures through the untouched tropical rainforests of the interior. The Kula Eco Park (aka Kula Wild Adventure Park) is located along Queens Road on the Coral Coast and beckons visitors to come and learn all about the fascinating flora and fauna of Fiji in the only wildlife park on the islands. 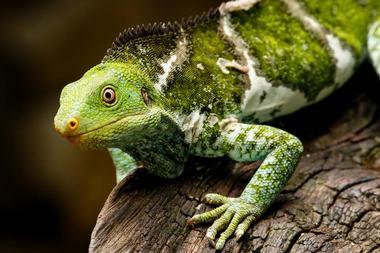 Here you can see a variety of indigenous creatures including endangered Fijian iguanas, Kula birds (national bird of Fiji), parrots, and flying foxes as you take a self-guided walk through the park. Children can join a Junior Ranger program, which includes helping at feeding time, and everyone can enjoy hand-feeding the turtles. In addition to wildlife the park now offers some exciting activities like the Canopy Flier Zip-line and Splash Mountain Jungle Water Slide (and a smaller version for children). 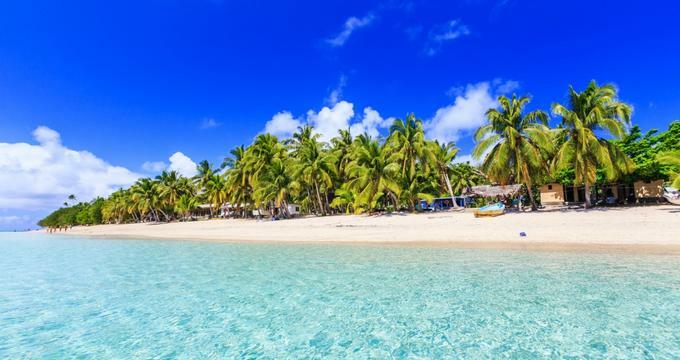 Vacationers hoping to escape the glitzy tourist resorts of the major Fijian islands should consider spending their vacation on the remote Lau Group of islands in the southern Pacific. They are still almost completely undeveloped and offer a genuine paradise-island experience. There are no roads, no restaurants, and an absence of large resorts, and the very small number of visitors makes these islands perfect for honeymooners who can stay at one of two rustic guesthouses on the beach. 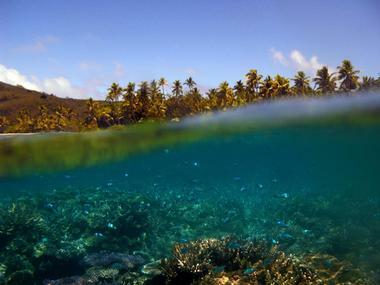 You can spend your days island hopping by boat, meet local villagers, swim, dive, and snorkel in the Quilaquila Marine Reserve on the island of Vanua Balavu or the Bay of Islands, or you can catch the perfect reef-break wave. 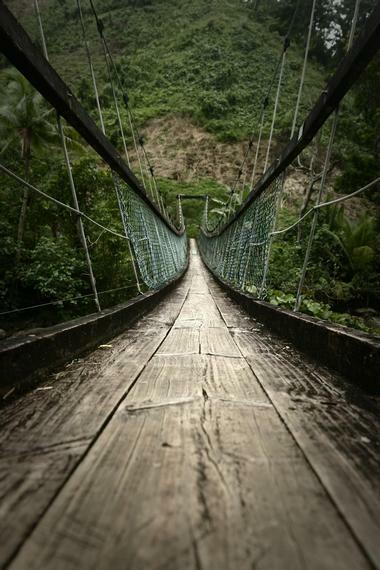 Hiking in the interior is a great way of discovering the amazing tropical landscape. The Lavena Coastal Walk is a delightful walking/hiking trail on Taveuni Island that leads visitors along a stunning stretch of coast and through some tropical rainforest to a beautiful hidden waterfall. The full trail (in and out) is about 10km in total, but if that sounds a bit too much like hard work you can arrange for a one-way motor boat transfer, which will reduce the hike to a manageable 5km. Although it is easy to follow the trail on your own, you should consider hiring a local guide who will be able to explain much of the flora and fauna you will encounter along the walk. At the end of the trail you can swim through a gorge right up to the base of the waterfall, and be rewarded for your efforts by discovering a second hidden waterfall that only swimmers can see. 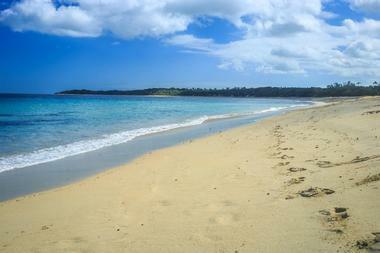 Natadola Beach is widely considered to be the best beach on the main Fiji island of Viti Levu. You can expect to find an enormous bank of clean white sand that gently slopes to meet the tropical azure waters of the sea. This is one of the few beaches in Fiji where you can swim regardless of the tide, and there is also good news for surfers – the Natadola Inside Break provides ideal conditions for novice surfers, while at the entrance to the channel more experienced surfers will find a good wave. You can snorkel, body surf, kayak, or simply relax and enjoy the sunshine. For something completely different during your Fijian vacation you can exchange the pricey resort spas for an all-natural experience at the Sabeto Hot Springs and Mud Pool in the foothills of the Sabeto Mountains near Nadi. 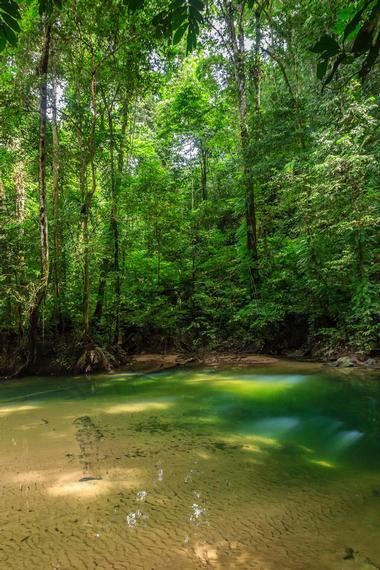 The natural thermal springs at Sabeto are set in the heart of the tropical forest, and the waters of the spring are believed to contain therapeutic properties to rejuvenate both your body and spirits. First you rub yourself all over with the mud and then you slide into the wonderfully warm waters of the pool to wallow to your heart’s content. It’s all great fun and suitable for all ages. Local villagers offer inexpensive massages, and the scenic approach trip will lead you past several local villages. 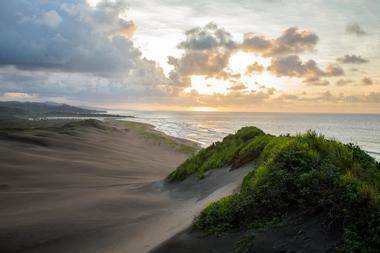 If you fancy going on a good hike then the Sigatoka Sand Dunes National Park may be just the place for you. The park can be found at the mouth of the Sigatoka River on the main Fijian island of Viti Levu and protects an enormous 650 hectares of sand dunes, which vary between 20m and 60m high. The park is an important archaeological site, and the remains of primitive inhabitants dating back 2600 years have been found on site. You can start your hike at the Visitor’s Information Center – choose from a one hour or two hour guided hike led by a local ranger, which will take you along the beach, through some inland forest and meadows and into the dunes. 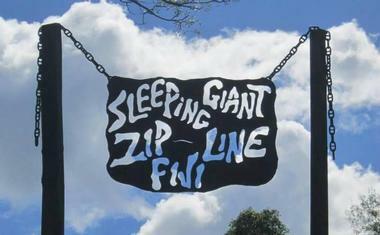 When you need a short break for the sun-drenched beaches of Fiji you can spend a few hours having an exciting zip line adventure at the Sleeping Giant Zipline, which is easily accessed from Nadi or Port Denarau. The 35-acre park is set in the heart of tropical jungle and offers you the chance to “zip” through the towering tree canopies for over 1.3 km. There are 10 separate zips of between 80mt and 160mt and you will reach a speed of up to 60km/hr. The park has an excellent safety record, and even first-timers will have a great experience. If you are not up to trying the zip line, you can hike the Orchid Falls and Jungle Safari instead, encountering four waterfalls, wild parrots, beautiful orchids, and stunning tropical forest. 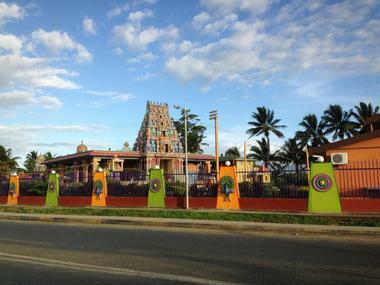 Fiji is well known for its cultural and architectural diversity, which you can experience at first hand on a visit to Sri Siva Subramaniya Temple in Nadi. This must-see attraction is the largest Hindu temple in the Southern Hemisphere and is composed of three sections dedicated to the deities Murugan, Ganesh, Meenakshi, and Shiva respectively. As you tour the temple, you can admire the wooden statues of the deities, which were brought here from India, and the impressive ceiling frescoes, which were created by Indian artisans. There is a custodian on duty to answer any questions you may have – please dress modestly and remove your shoes before entering the temple. 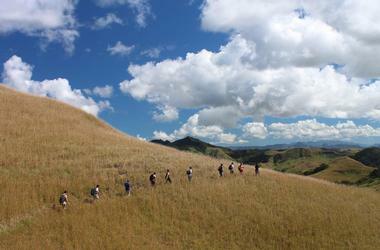 Nature lovers and culture vultures can escape the sea, sand, and resorts and spend a day discovering the true essence of Fiji on a guided hike through the hinterland with Talanoa Treks. Spending a few hours (or a few days) exploring Fiji on foot is an extremely rewarding activity and will give you a unique and personal insight into the fascinating traditional culture of the islanders, especially when paired with the awe of discovering a remarkable tropical landscape filled with mountains, forests, and waterfalls. 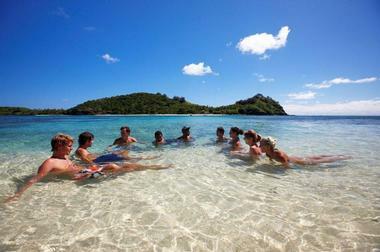 Talanoa means “telling a story,” and along the way you will learn the story of Fiji. Talanoa Treks offer regular scheduled treks but will also put together a personalized itinerary based on your interests. Operating out of the adventure-sport capital of Pacific Harbour, Terratrek tours offer a fun and innovative alternative to regular island tours. With Terratrek you get the opportunity to go on a guided self-drive dune buggy tour deep into the interior of the island. The most popular tour on offer is the half-day Waterfall Adventure, which includes a 45-minute drive followed by a 15-minute walk through the rainforest to reach a beautiful waterfall and pool where you will have lunch and an hour or two to swim and relax before driving back to Pacific Harbour. If you prefer you can book a shorter two hour scenic drive or get them to tailor-make a tour to suit your particular interests. The Church of Saint Francis Xavier is located in the north-west of Viti Levu Island and is well worth a visit for anyone interested in religious art. The European-style architecture is an unusual find in Fiji, but it is the unusual frescoed interior that makes this church an attraction. The first thing you will notice as you enter the church is the lack of pews – instead, congregants sit or kneel on woven grass mats in the Fijian tradition. 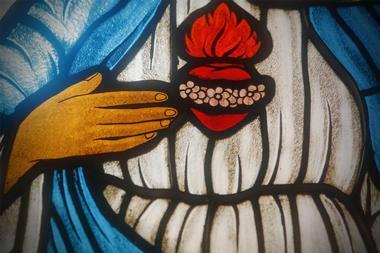 The frescoes behind the alter are very special – although they are Italianate in character they feature a dark-skinned Christ, Fijian, and Indian figures, as well as other Fijian emblems including a cava bowl and tabua. Located in the foothills of the Nausori Highlands, the Garden of the Sleeping Giant is a delight to the senses and a must-see attraction for all nature lovers and garden enthusiasts. The garden was originally established to house a private orchid collection belonging to the Canadian actor Raymond Burr, star of the Perry Mason TV series, who had a vacation home on site. Today you can stroll through an astounding variety of orchids (some indigenous to Fiji), as well as explore stone pathways and wooded boardwalks past lily ponds, groves of mango trees, palms, frangipani, and bamboo. You are welcome to bring a picnic, or you can visit Burr’s holiday shack where your entrance fee includes afternoon tea. Presented by Discover Fiji Tours, the popular Jewel of Fiji Day Tour combines a day of fun on the river with a cultural village experience. You start your adventure with a ride on a motorized longboat up the Navua River to the Fijian Village, where you will be met by a Fijian Warrior and led into the village for a cultural experience that includes ceremonial dancing, a traditional lunch, and craft demonstrations. 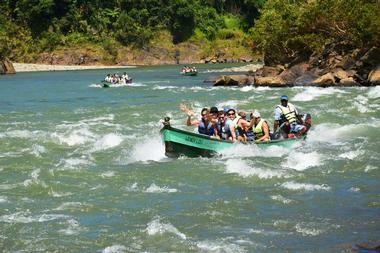 After lunch you continue up the river to Magic Waterfall where you can swim below the cascading waters. This is followed by rafting on a traditional bamboo raft (billibilli) before you head back to base on a motorized longboat. Your tour includes hotel-pickup. If you are visiting the unspoiled island of Taveuni in the northern Fijian archipelago, the Bouma National Heritage Park and the Tavoro Falls are must-see attractions. To reach the falls you will have to hike the Tavoro Waterfall Trail, which varies from an easy “stroll” at the beginning to a strenuous and challenging hike as you near the uppermost waterfall. The Tavoro Falls are made up of three separate cascades, the lowest of which tumbles into a lovely pool that is very popular for swimming. The middle cascade is reached via a fairly steep hike and a rope-assisted river crossing, while to reach the upper cascade requires a strenuous further 60min of climbing. 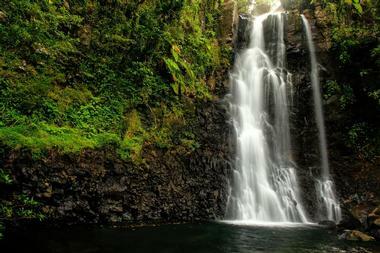 However, your efforts will be rewarded by the chance to see some of the finest waterfalls and best scenery in Fiji. Snorkeling and diving are national pastimes in Fiji and Beqa Adventure Divers are one of the most experienced diving outfitters on the islands. 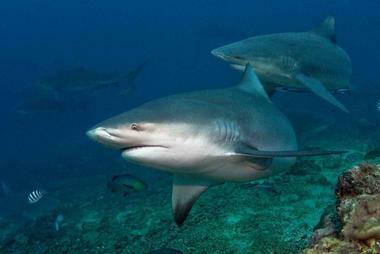 The company has been at the forefront of conservation and has worked with the Fijian government to establish the Shark Reef Marine Reserve (the first of its kind in Fiji), where you can experience the magic of getting up close and personal with one of the world’s alpha predators on the Shark Dive. If sharks are not your thing the company also offers wreck dives, reef dives, and a full complement of diving courses for all levels of proficiency. 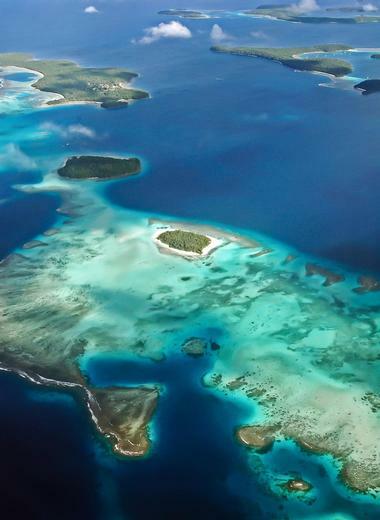 Beqa Adventure Divers operates out of Pacific Harbor, which is widely considered to be the adventure capital of Fiji. Coral Cats Sailing operates out of Port Denarau, offering visitors the chance to enhance their Fijian holiday with a variety of sailing adventures. If you choose a typical Day Sailing Tour you can expect to set out around 9:30 am to see the lovely islands of Mololo Lailai, Tavarua, Nomoto, and the outer reef. The tour includes a snorkeling stop on Musket Cove sand quay, a genuine Fijian barbeque lunch on an island, and time to stroll along the beaches and swim before sailing back to Port Denarau. Coral Cats also offer private charters on one of two comfortable catamarans and surf tours for those keen to catch a legendary Fijian wave. Feejee Experience understands that it’s a little daunting to choose the ideal Fijian island for your vacation and have come up with the answer – an unforgettable Fiji Tour where you see several of the highlights and leave all the arrangements to your hosts. 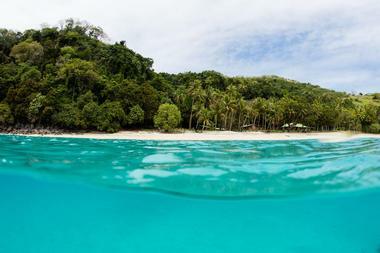 There are a variety of exciting itineraries to choose from that will expose you to Fiji’s cultural diversity as well as some of the best Fijian adventures like swimming with Manta Rays, billibilli rafting (on traditional bamboo rafts), jungle treks, and sensational diving and snorkeling. Your travel times are kept to a minimum to ensure you spend as much time as possible enjoying the islands. Highlights include Robinson Crusoe Island, Beachcomber Island, Blue Lagoon Island, and the Mantaray Island Resort. 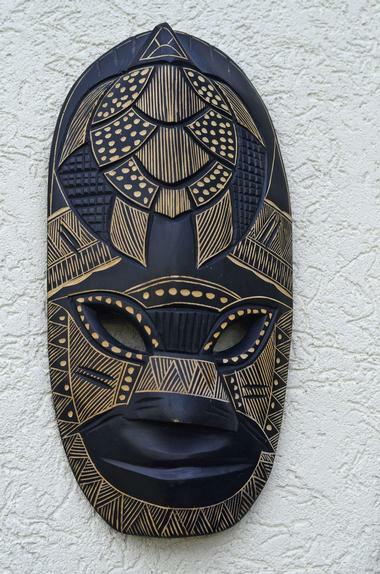 Shoppers who would like to buy some genuine Fijian crafts and souvenirs to take back home can find a good selection of hand-made items at La Galerie Fiji, which is located close to the airport on Malolo Lailai Island, overlooking the picturesque Musket Cove. Here you can choose from a great selection of island-style jewelry made using semi-precious gems, glass beads, and fresh-water pearls. La Galerie also stock a large range of textiles showcasing the vibrant colors of the islands – you can take home a lovely Fijian shirt, sula dress, or hula skirt to remind you of your vacation. 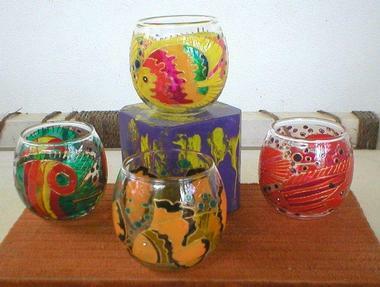 Artistic islanders also produce some very exclusive ceramics hand-painted with tropical fish and other designs. The Nadi Handcraft Market is located in the town of Nadi on Viti Levu Island, offering a wide range of local hand-made crafts that make perfect souvenirs to remind you of your vacation in Fiji. The market sells a variety of woven baskets and bags – look out for bags woven using pandanus, a type of palm that has very supple leaves and produces a superior product to the more widely used coconut palm. Many of the artists will be happy to engrave your initials onto your chosen souvenir – be sure to agree on a price before they do so. If you are planning to take wood carvings back home you need to get a certificate to show that the wood has been treated. Operating out of Pacific Harbour at the east end of the Coral Coast, Rivers Fiji makes it possible for visitors to enjoy a variety of exciting and eco-friendly kayaking, rafting, and canoeing excursions. You can enjoy a day of white-water rafting on the popular Upper Navua White Water Rafting trip, which will include a drive through the rugged forest landscape to your launch site. 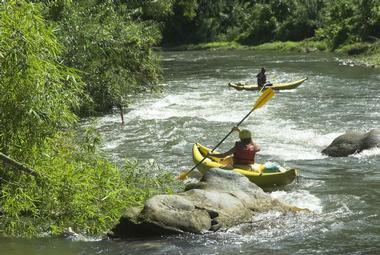 The Middle Navua Kayaking and Rafting expedition includes kayaking, rafting, waterfall visit, and a punt ride, and it is more suitable for the less adventurous. The company also offers a guided sea-kayaking tour that takes in a mangrove swamp and some offshore open-sea kayaking around the beautiful coastline. No visit to the Fijian archipelago would be complete without seeing some of the smaller islands, and the 100ft Schooner Whale’s Tale can take you to do just that. 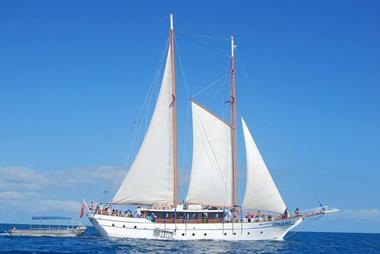 A typical day aboard the comfortable schooner will include embarkation around 9:30 am. As you set sail out of Port Denarau a delicious champagne breakfast will be served before you settle in to enjoy the cruise through the Blue Lagoons and the Mamanuca islands. 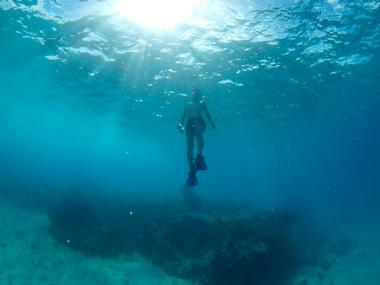 Once you reach the lovely Schooner Island, (which is private and uninhabited – just you, the crew, and nature) you will be kitted out for snorkeling and set off on a wonderful underwater adventure. Later you can enjoy an island lunch, play some beach volleyball, go scuba diving, or have a relaxing massage before you set sail back to Denarau Port.